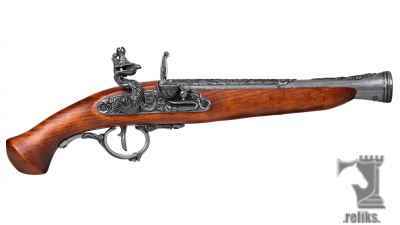 We not only search for some of the best swords available on the market, we also offer a wide selection of medieval inspired collectibles, chess sets, letter openers, figurines and more. 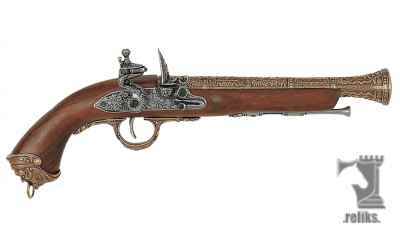 This is a short list of the newest pieces that you will find in Reliks.com's collectibles section. 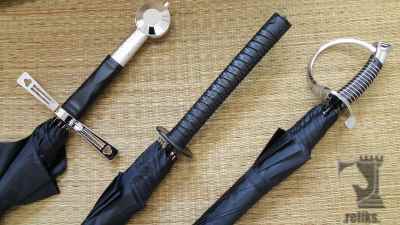 Fight all kinds of weather knowing that you will stay dry and your armour won't rust with these truly unique umbrellas. 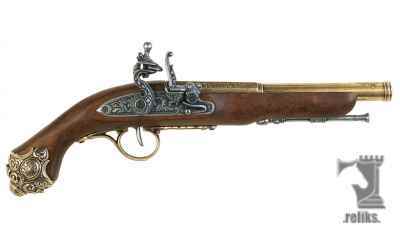 Pirates were always known to carry one or more flintlock pistols or blunderbuss. 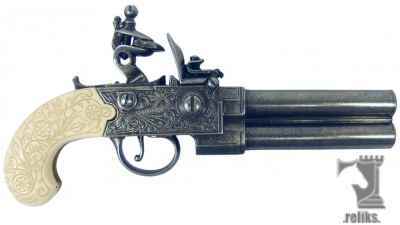 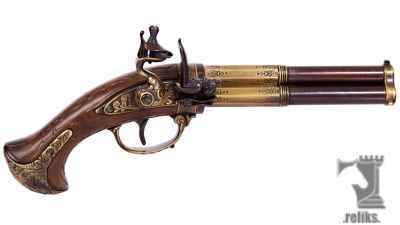 This is a beautiful reproduction of a French 3 barrel flintlock pistol made in metal with simulated engraved wooden grips and mechanisms. The 18th Century blunderbuss was a one shot flint lock pistol. 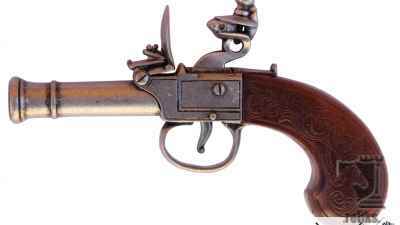 The small pocket pistol was designed for the ladies and the gentlemen. 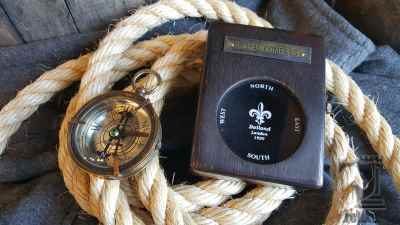 This stunning Royal Navy Compass is made from brass. 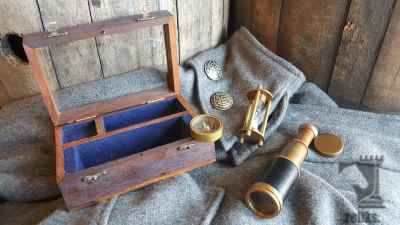 This Navigation Kit would have been an early example of what a ship's captain would have had in his cabin aboard ship.